Push button tilt (most common): A button release is installed at a location just below the point where the umbrella’s sliding hub reaches the fully open position. 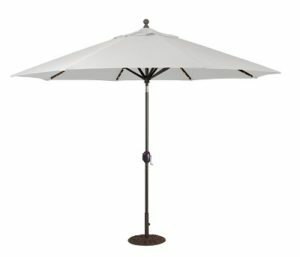 Depressing the button will release the neck to one side or the other. 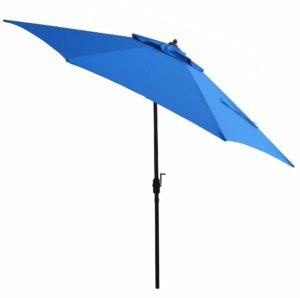 Pro: Simple to activate and inexpensive to manufacture. 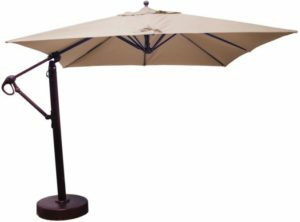 Con: The push button can be difficult to operate for some users, especially when the umbrella is inserted to a patio table. 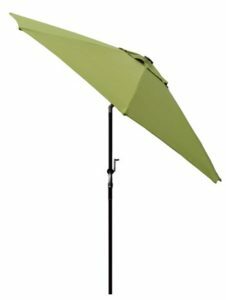 Auto-tilt: The canopy is tiled to one side by cranking the umbrella 1/2 revolution past the fully-open position, releasing the neck to one side. 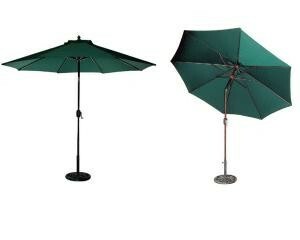 The umbrella is returned to its straight-up position by reversing the crank. 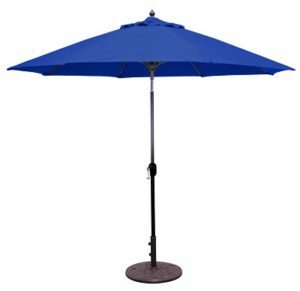 Pro: We calculate that approximately 65% of all patio umbrellas will be used when inserted to a patio table. 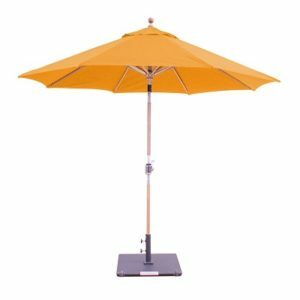 The tilt is activated at the level of the crank handle eliminating the need to reach up into the neck, as is required with the more traditional push button tilt. 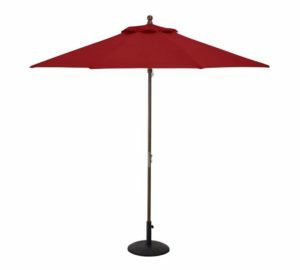 Con: The canopy’s ability to tilt is gravity-activated and can only tilt to one direction, requiring that the umbrella be adjusted by spinning the pole itself. 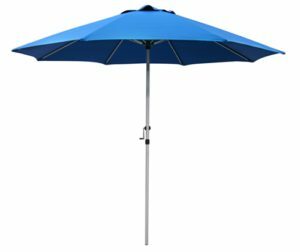 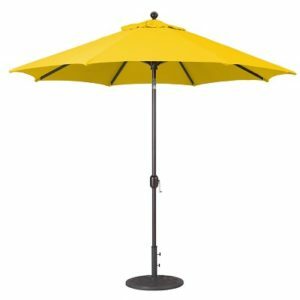 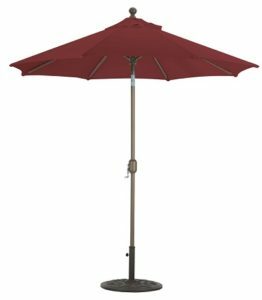 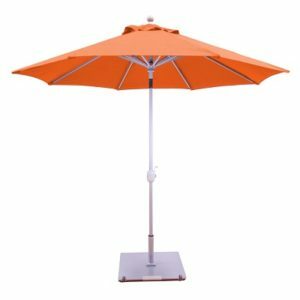 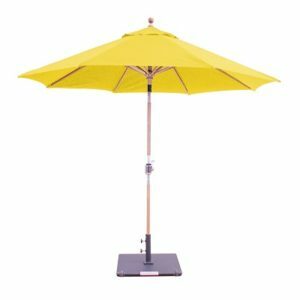 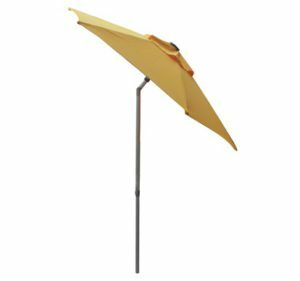 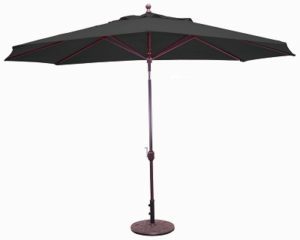 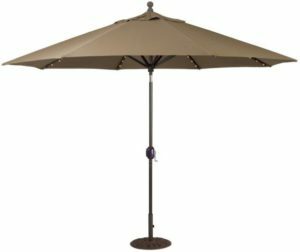 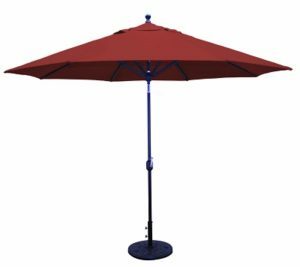 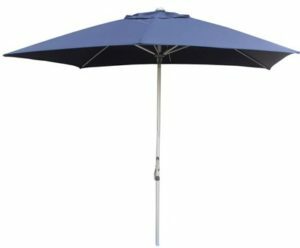 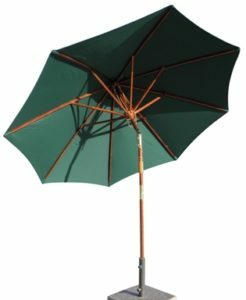 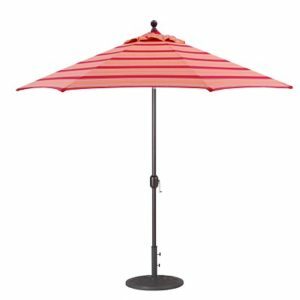 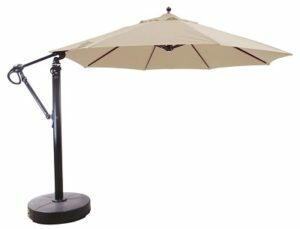 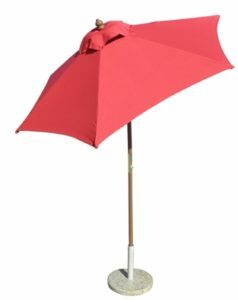 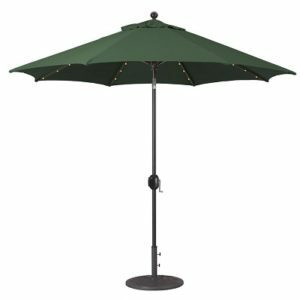 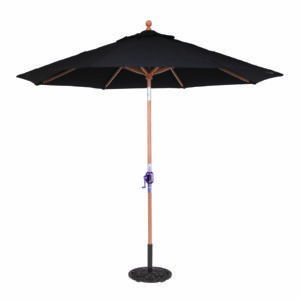 This can be a challenge in cases where the umbrella is secured in place by a patio umbrella base. 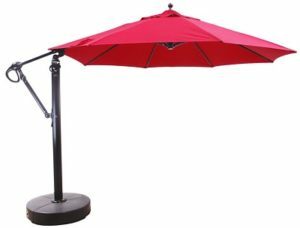 collar tilt: the tilt function and, in some cases, also the rotation of the tilt is activated by twisting a grip collar positioned on the support pole just above the table height. 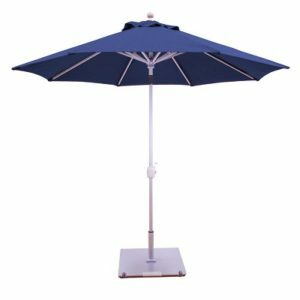 Pro: The activation point for these useful features is easy to access. 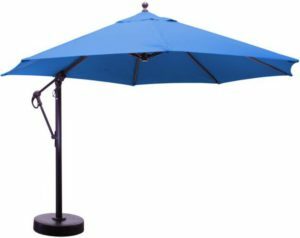 Tilt and positioning is enabled with the same collar. 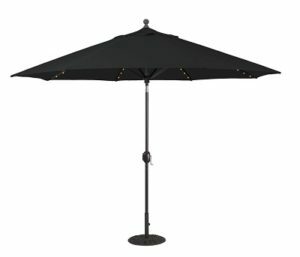 Con: cost is typically higher, as is the case with most convenience add-ons.